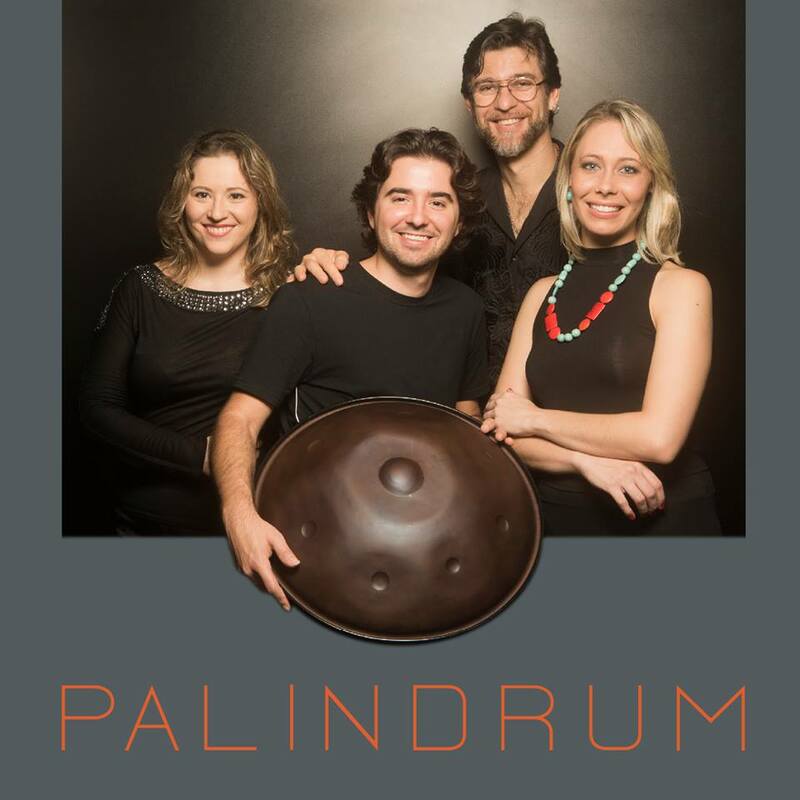 Sao Paulo based quartet Palindrum formed in 2010 around musical director Dyonisio Moreno, who composes and arranges their music, but doesn’t actually perform in the group. Their unusual sound – something one might call contemporary new world music – is a mostly instrumental mix of jazz and chamber elements informed by world music (occasionally featuring wordless vocals) with an exotic mix of instrumentation. The players are Alex Reis (drums, percussion), Helena Venturelli (piano), Denise Ferrari (cello), and Daniel Moreno (hang – or as it’s sometimes called – hang drum); its sort of like the top side of a steel drum turned inside out, with a lower shell resonator, played with the hands instead of sticks, typically on the player’s lap, and curiously looks a bit like a miniature flying saucer. All the rich and varying tones produced by the hang are truly at the core of Palindrum’s unique sound, with the piano and cello together handling the group’s outward melodic strength. In addition, Milene Vianna joins the group on vocals on three of the fourteen cuts, plus other guests on piano and accordion, track depending. Some of the tunes have a decidedly Latin or Caribbean flavor, but the strong jazz and classical influences are never far away. For the most part, this is a joyous, celebratory music, never dark or pensive, and the powerful rhythms will keep the feet moving throughout. Palindrum truly sounds like no other.